The sectors benefiting from induction technology are very diverse. 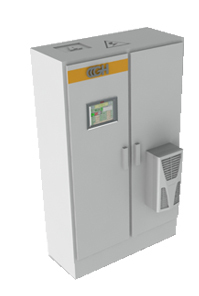 In order to cover to give solutions to this wide scope, GH Group offers generators ranging from 500 Hz to 450 kHz and from 2.5 kW to 2400 kW. SH and PH: high frequency (<450 kHz) up to 800 kW. 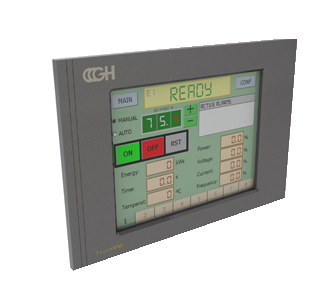 DIGIMAC manual and portable solution with hand terminal to be used by an operator. 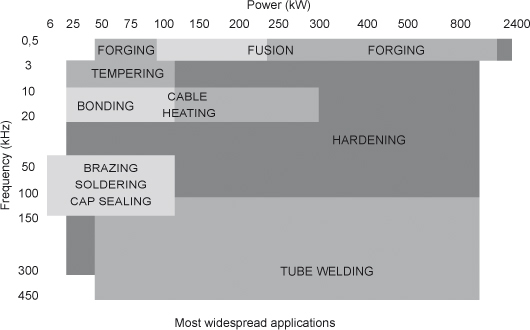 For some industries optimised systems have been developed, such as welding for the pipe industry, bonding in the automotive industry, pre- and post- heating in power cable, etc. For supervision of generator operation and quality control of the process by monitoring the energy consumed. Advanced performance management such as programs and heating profiles, historical alarms record for troubleshooting, power curves in real time, etc. DeviceNet, Profibus, Interbus, Ethernet, ProfiNet. GH Group develops other proprietary protocols to order. Experience. There are generators over twenty years old operating on the market. Process of design, manufacture and quality control. Prior to marketing the operation and compliance of the strictest quality standards and safety regulations are ensured. Control and monitoring. Local control systems and communication interfaces for remote supervision integrated in higher management systems enable preventive and corrective maintenance. Response time of the technical service. The response time in any kind of trouble is very short thanks to the international and local technical service.